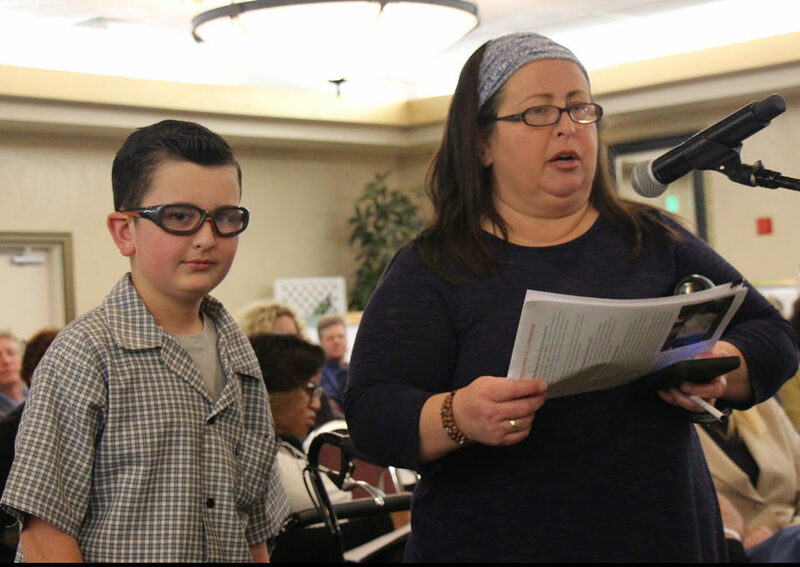 Maggie and Ryan Compton testify at DTSC hearing on Oct. 5 2017. Ryan is a two-time leukemia survivor. 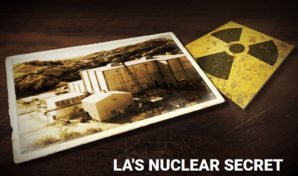 The Department of Toxic Substances Control (DTSC) recently released a draft Environmental Impact Report (EIR) for the Santa Susana Field Laboratory (SSFL) cleanup that breaks years of promises that the radioactive and toxic chemical contamination would be completely cleaned up. Instead, it proposes to leave vast amounts of plutonium, strontium-90, cesium-137, perchlorate, PCBs, volatile organic compounds, dioxins, and heavy metals, where they could continue to migrate offsite and place neighboring communities at risk. You can view the EIR here. To make matters worse, Boeing has launched an unscrupulous campaign to try and convince the public and elected officials that it will “protect” SSFL by walking away from almost all of the contamination it is responsible for cleaning up! We’re fighting back with a new website, Protect Santa Susana from Boeing, which lays bare Boeing’s twisted logic and counters its outrageous disinformation. But we need everyone’s help now. This is one of the most important and final opportunities for the public to weigh in on the SSFL cleanup. Click here to tell DTSC that it must uphold the AOC cleanup agreements and demand that Boeing cleanup ALL of the contamination on its property! DTSC’s draft EIR is essentially a breach of the commitments DTSC had made to require a full cleanup. It includes proposals that would violate the AOC cleanup agreements it signed with DOE and NASA. For Boeing’s part of SSFL, the EIR blocks from even being considered cleanup to the standards DTSC hand long promised. Instead, it says the very best that would be done would be cleanup standards nearly thirty times less protective than DTSC’s own official residential cleanup levels, and far less than the promised cleanup to agricultural/rural residential and background standards. Amazingly, the EIR has a thousand pages of all the supposed negative impacts of doing a cleanup, but nothing on the negative impacts of the contamination and the health and environmental harm that would occur if the pollution isn’t cleaned up. By omitting cancer risk information and hyping potential negative impacts of the cleanup, the EIR presents a biased and inaccurate assessment of the SSFL cleanup. It is essentially a PR attack on the cleanup commitments DTSC itself had made. DTSC’s EIR contemplates leaving large amounts of contamination in place, which it refers to as “natural attenuation.” This means just leaving the toxic materials and hoping they lessen over long periods of time. It also violates the AOC cleanup agreements, which prohibit even considering leaving contamination in place. DTSC’s EIR says that it intends to exempt from cleanup unspecified but apparently huge amounts of contamination for purported biological and cultural reasons, which appear to be far beyond the narrow exemptions allowed under the cleanup agreements. The real threat to the ecology – which is not examined at all in the EIR – is the radioactive and chemical contamination, which needs to be cleaned up to protect ecological features as well as people. Though DTSC in 2010 promised a cleanup for Boeing’s property that would be equivalent to that required for DOE and NASA, the EIR now says Boeing will be allowed to do a less protective than that in the DOE and NASA agreements. Furthermore, it excludes from consideration a cleanup to background or to the rural residential standards previously promised. The EIR even excludes consideration of DTSC’s own official suburban residential standard, and puts forward instead one that is nearly thirty times less protective. In other words, the very best DTSC is now considering would leave contamination concentrations nearly thirty times higher than DTSC’s own official goals for what is safe for suburban residences, and far higher than even that compared to the cleanup levels DTSC has long promised. Furthermore, the EIR indicates that Boeing will be allowed to also leave large amounts of contamination in place, for similar “natural attenuation” and unspecified biological and cultural exemptions. The EIR also fails to disclose what DTSC is actually proposing to not clean up. It is absurd to release a report that gives no real information about what the proposed cleanup amounts will be. DTSC hides the ball—it keeps hidden how much contaminated soil it contemplates not cleaning up, saying that it will disclose that only after the EIR is finalized. This flies in the face of environmental law, which is to disclose and analyze in the EIR, not shielding from public view its intentions until after the EIR is over. And by only giving information about supposed impacts to the environment from cleanup and excluding information on risks to health and the environment from the contamination itself and from not cleaning it all up as promised, the DEIR misrepresents all risks. Tell DTSC that it must uphold the AOC cleanup agreements and demand that Boeing cleanup ALL of the contamination on its property! 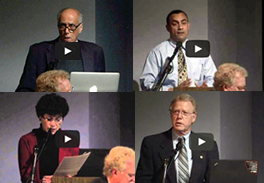 See our video page to learn more about SSFL history, accidents, contamination, and cleanup promises. Ventura County, Los Angeles County, and the City of Los Angeles resolutions urge DOE to comply with cleanup agreement. © 2019 Santa Susana Field Laboratory Work Group. All Rights Reserved.